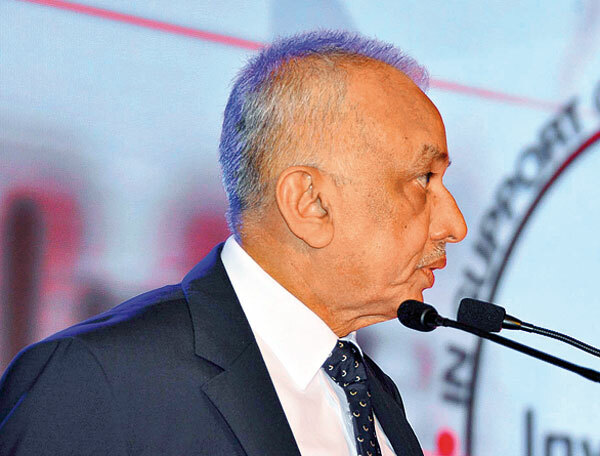 Prime Minister Narendra Modi's 'Make in India' strategy will create opportunities for linking into new and expanding value chains in domestic as well as multinational companies operating in India for Sri Lankans, Development Strategies and International Trade Minister Malik Samarawickreme said . Improving infrastructure in both countries is reducing transaction costs and thereby increasing the advantages of proximity,he said. Speaking at the Invest in East forum he said that in order to take advantage of these changes in the overall landscape, which have improved the prospects for capitalising on our proximity to India, Sri Lanka is planning to deepen and widen bilateral relations through the Indo-Lanka Economic and Technology Co-operation Agreement (ECTA). "Our intention is to sign the agreement by mid-2016 and we are also in the process of deepening our FTA with Pakistan," Samarawickreme said. "With preferential access to both the Indian and Pakistani markets, Sri Lanka can act as a bridge for investors from both countries to penetrate each other's markets. Indian investors, who wish to have preferential access to Central Asia can also locate in Sri Lanka and have access to those markets through Pakistan, which has a regional cooperation agreement with those countries." "We are also negotiating a Free Trade Agreement with China." "The agreements with China, India and Pakistan will give us preferential access to a market of almost 3 billion people. One could argue that this is our 'Unique Selling Point". "We are also exploring a possibility of signing FTAs with other countries. In addition, we are assessing the merits of seeking to join the Trans Pacific Partnership (TPP), "he disclosed. High priority is also being attached to lifting the EU Fisheries Ban and the restoration of GSP+. We are making encouraging progress on these fronts. The overall environment for promoting a more diversified and complex export structure is also being boosted by building on our good basic education through emphasis on strengthening higher education and the eco system for research and development. "Our vision involves the private sector being the locomotive for growth and employment creation. Exports and FDI will be key pillars of the new model for increasing growth, employment and incomes." "We are attaching high priority to improving the business climate. Investment policies, the ease of doing business, trade policy and trade facilitation are all receiving close attention as we seek to promote trade and investment more aggressively."